This is my 15th year (WOW! I can’t believe it) that I am involved with the Alzheimer’s Association Memory Walk. I am proud to be on the Memory Walk Committee (probably about my 6th year or so, by now). This year, it is held at Lake Eola on October 3. It is the annual “big event” here in Orlando, as there are hundreds throughout the country. In an effort to help keep the walkers energized, we did our annual “Kick Off” party for the walkers. It was held at the beautifully and recently remodeled “Ember” (formally known as “Kate O’Brien’s). Ember helped out greatly with “beverage” & appetizer specials. We raised more money towards our total goal and of course, awareness towards the disease. As we are getting close to walk day, more and more things will be happening. We all can’t wait until October 3! Here is a little slide show of some of the images that we captured at the event. Set your speakers accordingly and enjoy! Click this LINK. This is your chance to help the cause to end Alzheimer’s Disease! Perhaps you have a family member – parent, aunt, grandparent, etc. that was affected by the disease. This is your chance to help make a difference. 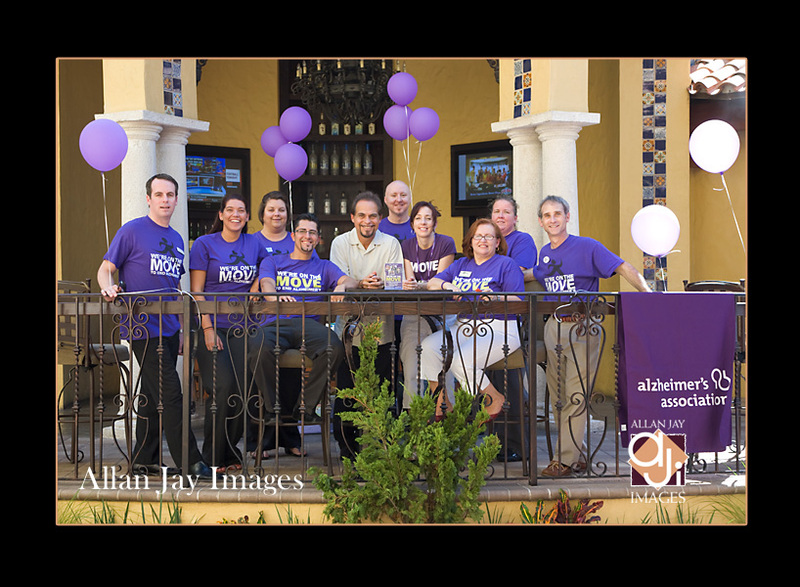 We’re on the MOVE to end Alzheimer’s. Help out through this LINK.